It’s very true that more you practice something better you become at it. No matter how many times I do the same thing, every now and then I learn something new. I’ve been deploying PUM for past so many years now and I still keep on learning new things in PUM. PUM process also keeps on changing little bit every few months. You might get this error when you’re adding a new database in Change Assistant. It could be a database that is used for upgrade or the target for PUM. 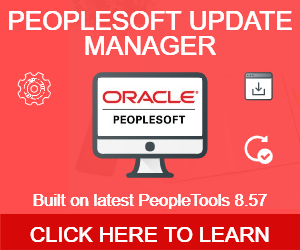 Error shows up due to the mismatch between the PeopleTools version as it’s recorded in the database and the PeopleTools version that is setup as PS_HOME during Change Assistant configuration. 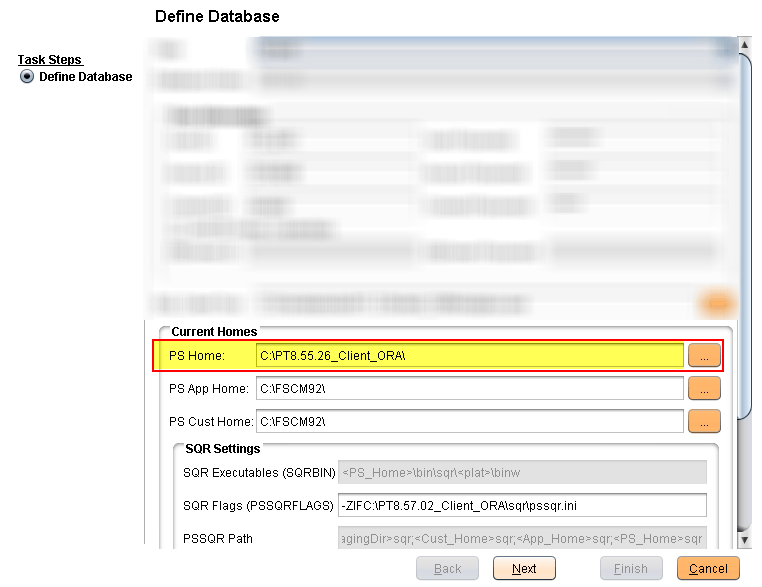 To fix this error, make sure that path that is provided in PS_HOME value for the new database is valid and it actually points to the directory that matches the PeopleTools version of database. 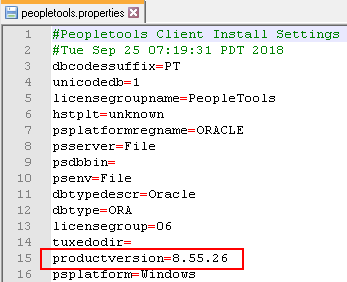 For example, if you target database is on PeopleTools 8.56 then PS_HOME should point to a directory that is a PS_HOME for PeopleTools 8.56 only. If it’s pointing to another location, you would see this error. To find out the PeopleTools version of you target database, run the following command. To find out the PeopleTools version of PS_HOME , check peopletools.properties file. PeopleTools version in productversion in peopletools.properties file and TOOLSREL in PSSTATUS should match. Patch version can be ignored as long as PeopleTools version is same.